A luxurious timepiece with classic style, Glashutte presents this timepiece from their Senator Excellence collection, marked distinctly by its 18ct Rose Gold case. The dial exhibits thin indices and classic Roman numerals at the 12 and 6 o'clock mark with a date aperture added for further efficiency. 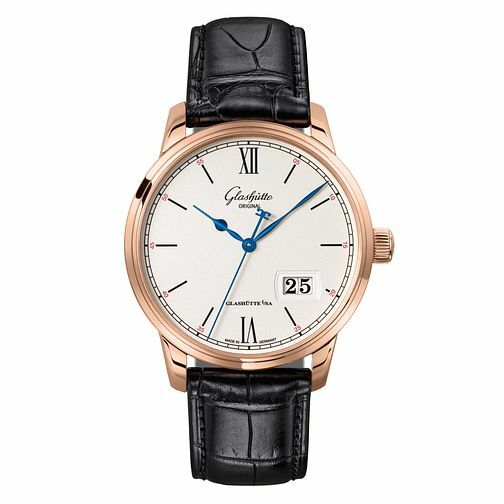 Made with Glashutte Original Calibre 36 movement, scratch-resistant sapphire crystal and a black strap for more comfortable wearing.